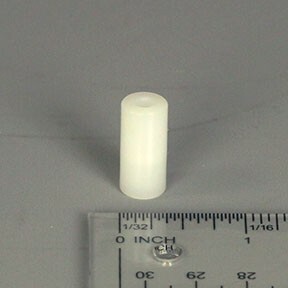 The Dip Tube Filters are used on the amino acid, activator, and activator base positions to prevent undissolved reagents or other contaminants from entering the fluidics system. An extension tube is built in to the filter housing to ensure there is no dead volume in the bottles. This is a bag of three hundred (300) filters.